Post-apartheid South Africa has witnessed many changes in a quest for social justice. 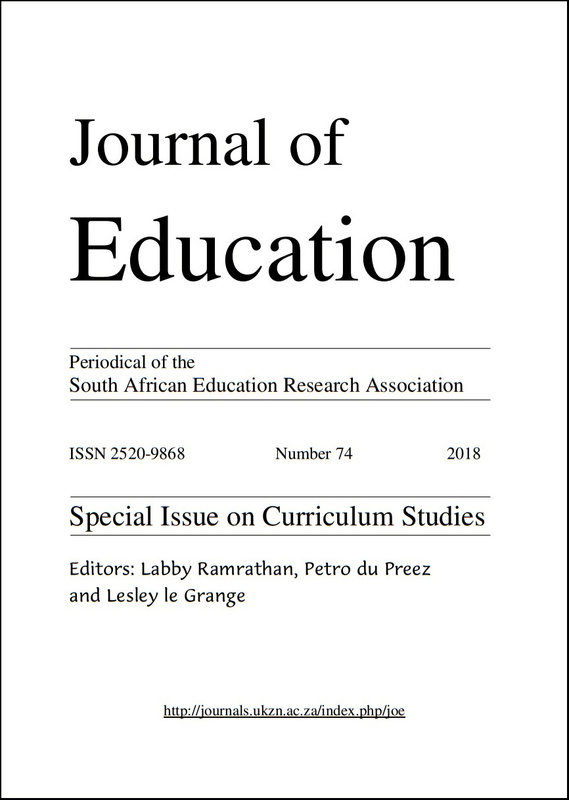 However, these changes have not infiltrated the South African higher education landscape, which continues to privilege epistemic traditions that are embedded in western frameworks. The science curriculum had been instrumental in promoting western worldviews as universal. This has resulted in normalising the subordination of non-western people and their knowledge systems. In seeking a change in the tenor of science education, this paper reports on a qualitative study that explored the intersecting influence of the pre-service science teacher curriculum and indigenous knowledge systems. In reconceptualising a part of one science module, the curriculum is used as a vehicle to depart from western epistemic canons, by reframing who teaches, what is taught and how it is taught. A purposively selected sample of 224 pre-service teachers engaged in a field trip and a gardening project that was facilitated in part, by an indigenous knowledge expert. Pre-service teachers planted a vegetable garden using indigenous methods, and cultivated indigenous and non-indigenous plants. Pre-service teachers captured the processes of planting and growing the gardens in their portfolios and reflected on their learning by responding to questionnaires. Data drawn from the portfolios and questionnaires were analysed thematically. Findings revealed a consciousness-raising of pre-service teachers about the value of indigenous knowledge and their endorsement of an indigenous knowledge expert as a legitimate teacher in higher education. Insights into using IKS to create spaces for transforming and decolonising the curriculum by engaging an IK expert to teach, bringing previously marginalised IK to the centre, and finally, teaching and learning in contexts which maximised interaction between the pre-service teachers and the materials being studied in their natural setting, were also revealed. Ronicka Mudaly is a senior lecturer in the School of Education at the University of KwaZulu-Natal in South Africa. A quest for a science education which is socially just and more relevant, inform her pedagogy. Her current interests include humanist approaches in science education from a Freirean perspective, indigenizing education, gender studies and youth empowerment through research.